Yoghurt Digital is looking for an SEO Specialist. If you meet the requirements below, you will be eligible to apply via Digital Marketing Community. Increase clients' digital presence and grow their market share via SEO strategies. Develop, execute and analyze SEO campaigns for multiple clients across many industries. Cooperate with the team to deliver the SEO components of campaigns. At least 2 years of proven experience in the same role. Demonstrated experience in working with large, blue-chip clients. Proven performance in digital marketing delivering technical, content and outreach strategies. Extensive experience with (Google Analytics) as well as the ability to gather and analyze data from multiple sources. Expert understanding of content management systems such as (WordPress, Magento and Shopify). Advanced knowledge of organic search specific tools such as (ScreamingFrog, Ahrefs and SEMRush). Ability to consistently meet deadlines and work on multiple projects at one time. Strong analytical and metrics measurement skills. Solid interpersonal and collaboration skills. 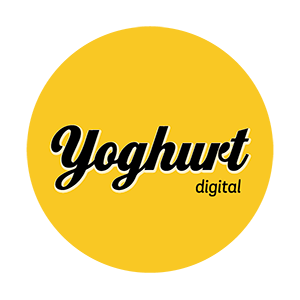 Yoghurt Digital is a Sydney-based digital marketing agency specializing in conversion optimization, search engine optimization (SEO) and paid search (PPC). Increase clients’ digital presence and grow their market share via SEO strategies.